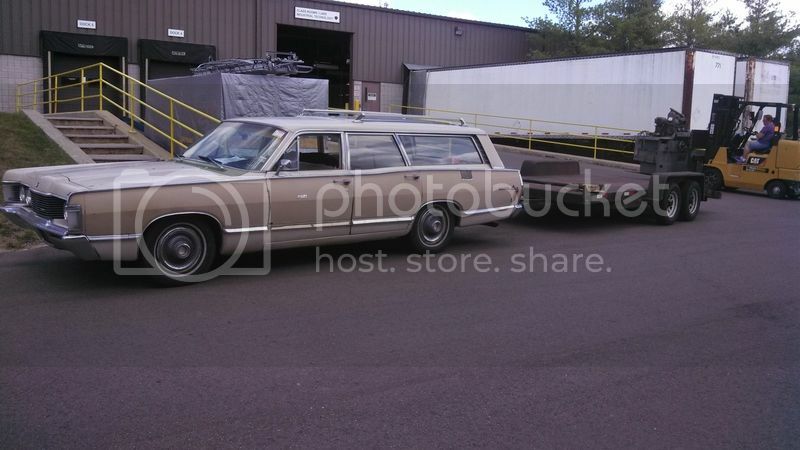 This past weekend I just picked up two 1968 Mercury Colony Park wagons. It was a package of a running car and what was considered a parts car. Well, the parts car is too good to part out. I drove it on the trailer and it doesn't have much rust. Definitely worth saving. The parts car is Lime Frost Green with the wood paneling. Options are p/s, p/b, a/c. 390 2v, C-6. 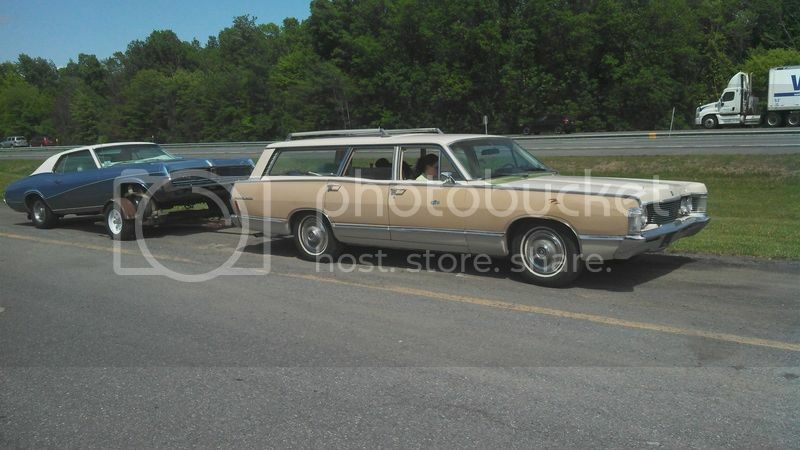 The main car was Saxony Yellow with wood paneling. The car hs been painted a cream color and the paneling was painted tan. This car has a 428 and C-6. Options are p/s, p/b, p/w, p/l, p/seat. It was a long day of driving to go to the middle of Long Island and back. I drove the yellow car home while my friend trailered the green one. The 428 car ran pretty well all the way home. Gas mileage wasn't horrendous either. I really like them. The Saxon Yellow wagon is just awesome. I really like the first picture. It shows the classic lines so well. 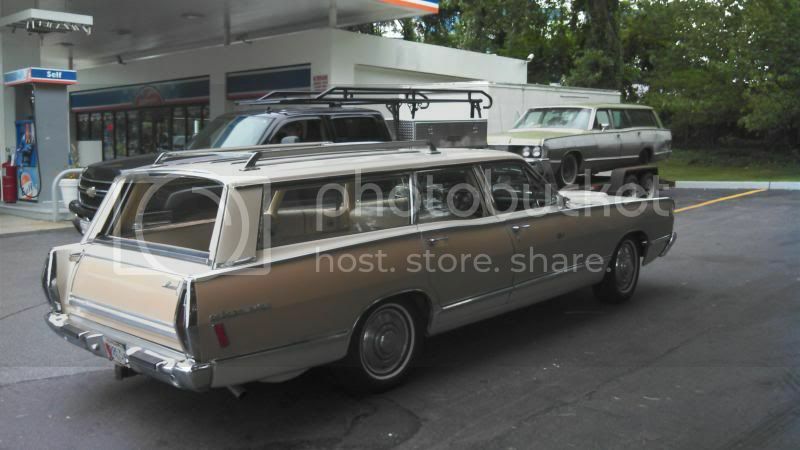 The Lime Frost wagon reminded me of the Griswold's Wagon Queen Family Truckster. ...Nothin' but the best, Clark. Congrats! Great find. Dad had two Colony Parks when we were kids: a '62 and a '66. I especially loved the '62 but grew to like the '66, too. I'd like to find a good '62. The road to Carlisle 2015. The Latest Adventure with the Colony Park. As a Craigslist and E-bay addict and my need for old iron I had succumbed to buying another Norton U-4 cylindrical grinder. It just so happens that it wasn't close by. I'm in Massachusetts and the grinder is in Michigan. Not a tremendous trip, but not around the corner either. About a 12 hour drive one way. Since my pick-up leaks too much oil, I decided I'd pull the trailer with the 68 Colony Park. 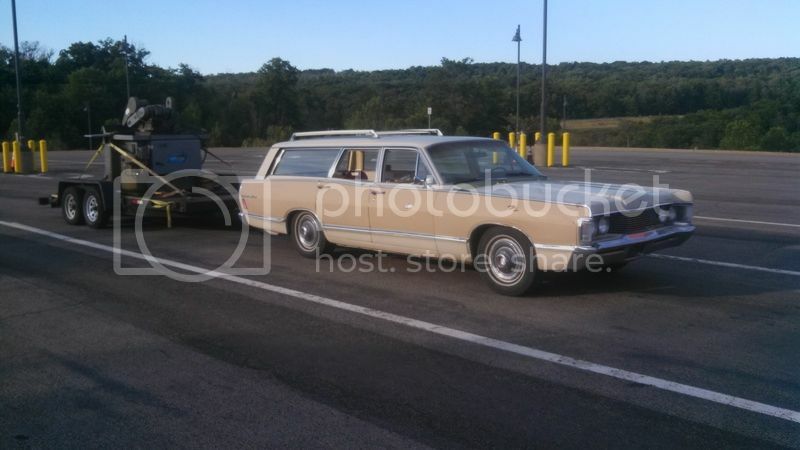 Well, here's how it was intended to go: Leave Thursday right after work (about 6pm) with the wagon towing the trailer. 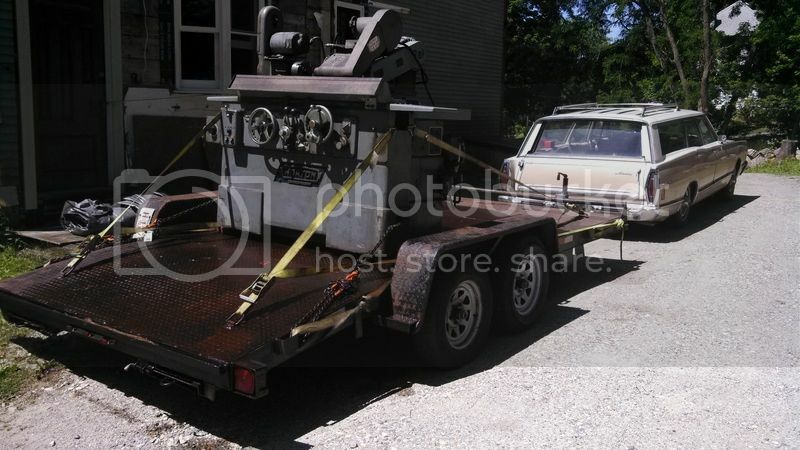 Travel from North Adams, Massachusetts to Ann Arbor, Michigan over night to pick up the machine at 9:30am. Then head back to get home Friday night. Here's how it went: Work all day Thursday to install the trailer brake controller and properly route the wiring along the tail light harness under the sill plates and behind the interior panels. Finally get done at 6pm. Still need to inspect the brakes on the trailer. About 7pm find that the trailer brakes are all junk. Hurry to tractor supply as they close at 8. Luckily they had what I needed. Bought a drum kit and a loaded backing plate kit. By the time all the stuff was installed and corroded wiring was replaced it was about 10:30pm. The wife brought me dinner and we got to spend a little time together while I finished fixing trailer lights and hooking up to the Colony Park. Finally, it was a around 11:05 by the time I was heading out. The CP towed the empty trailer very well. On the highway I'd occasionally look at the speedometer to see I was doing about 80! It was about a 12 hour drive to get there. I had to take a couple naps along the way. Finally I made it there about 1:30pm on Friday. The machine was loaded and it squatted the wagon pretty good. I found the rear air shocks have a slow leak. I pumped up the shocks with 100 psi and it was marginally better. I drove bit down hwy 23 in Michigan doing about 55mph. It drove o-k. The chains were scraping the ground a bit even though they were twisted to lift them. I stopped at an Autozone to see if they had a come-along. They guy there said they do at Tractor Supply across the street. I bought the come along to slide the machine back further on the trailer to reduce the excessive tongue weight. 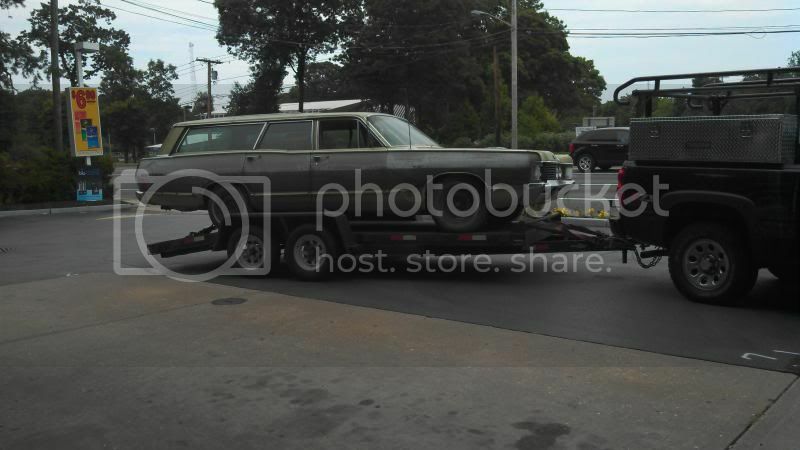 The wagon and trailer had a much better stance. At first I thought the tongue weight may have been too light. Then, after driving a bit, it seemed to be just right. I made it out of Michigan and into Ohio. About 10pm at night near Ashtabula, OH I was looking for a place to buy a tarp to cover up the machine in case of rain. 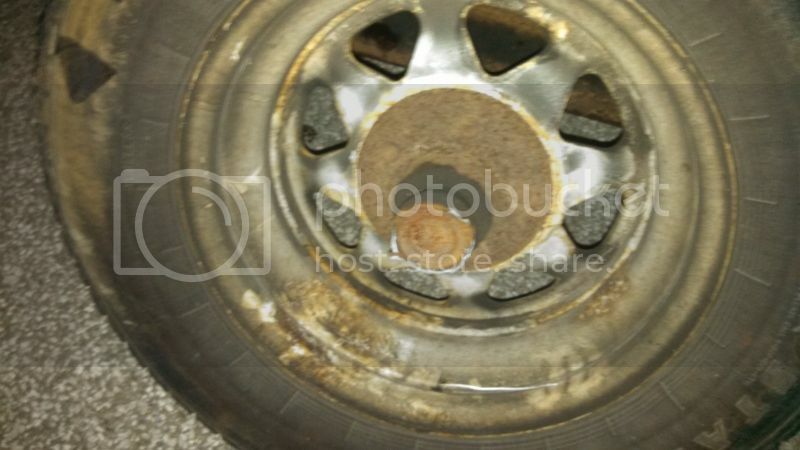 I made a U-turn at a Flying J gas station and the left rear trailer wheel fell off. The spindle broke off the axle tube! The trailer hit the ground. Luckily, I was in the parking lot and had a to drag it only 20 feet or so to get it parked in an area that was out of the way. Being it was after 10pm at night, there wasn't anything I could do until the morning. For now, all I could do is get the trailer jacked up and set on blocks. This Flying J had a Denny's so I got some dinner then slept in the back of the wagon. In the morning I planned to head to Tractor Supply to buy an axle. With no tape measure in my basic tool kit, I used a piece of wire to measure the length of the axle. About 7am on Saturday morning I was getting the CP unhitched and a guy pulls in and says "hey man, did you break an axle?" I said ",so I'm heading to Tractor Supply to buy a new one". He said "here's my card, I own Richmond Trailer Sales in Geneva, give me a call if you need anything". The Tractor Supply I went to did not keep any axles in stock. 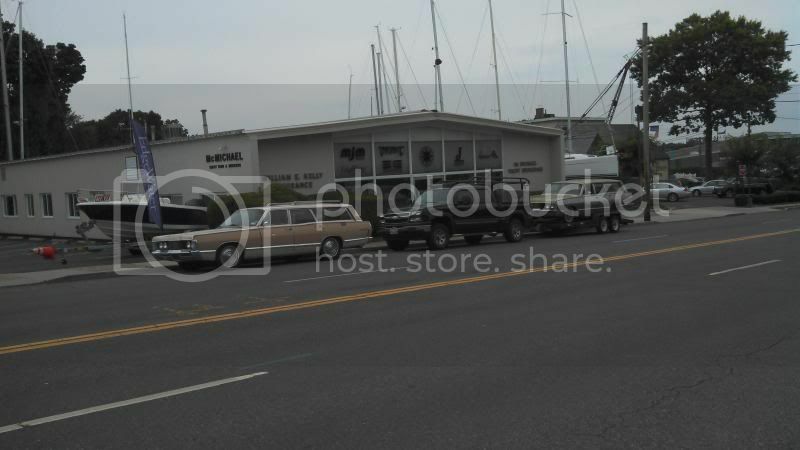 So, I was one my way to see Jerry who is the owner of Richmond Trailer sales. He already had an axle pulled out when I got there. We mocked up my wire to see if the new axle was the correct length. Unfortunately, it was too short. Jerry said there is another Tractor Supply near him that did have some axles. So, I went over there to find their longest axle was 88". I needed a 95". I went back to Jerry's in hope of finding a solution. I pull in and just as I get out of the car, Jerry says "we got ya taken care of". 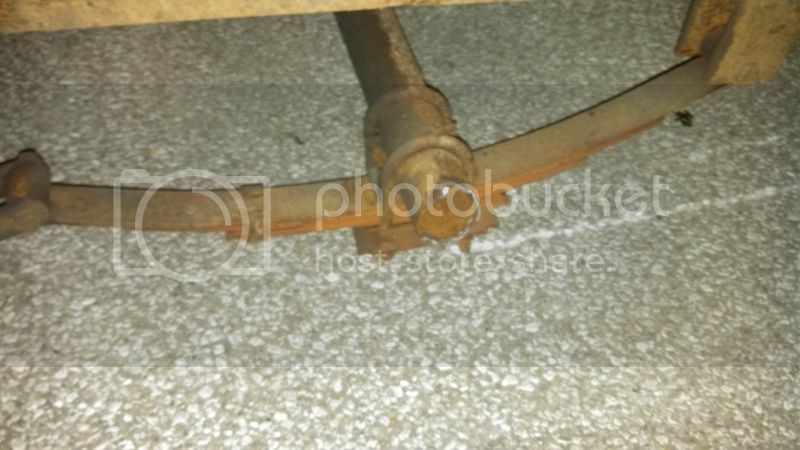 He had a piece of pipe that would fit over the axle tube and got me set-up with a welding/fabricating shop (that normally isn't open on Saturday) that could lengthen the axle. I bought the axle and some other hardware from Jerry then head over to the fabricator. It took about 2 hours to get everything mocked up, cut, properly positioned and welded. The job came out really nice. Both Jerry and the weldor/fabricator were great guys, the type of guys I could chat with all day. About 2:30 I again went back to Tractor Supply to replace the wheel due to some gouges from the fender when it fell off. 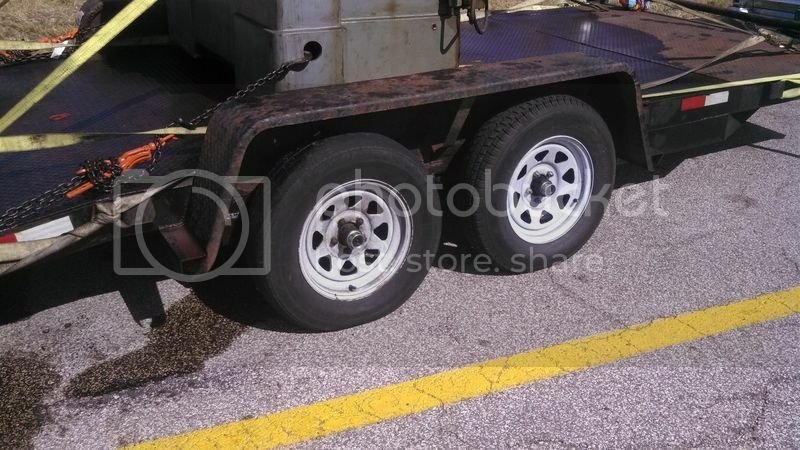 Finally, back to Flying J and had lunch at Denny's then got to assembling the new axle onto the trailer. It was about 5:30 when I was done and ready to drive. There was about 7-8 hours left of driving until I made it home. With running into some stand-still traffic and taking a couple naps it took me about 12 hours before I was parked in my driveway. Even with having the wheel fall off the trailer setting me back about a day, I'd still say the trip went well. The Colony Park ran great and gave a comfortable ride. The trailer situation could have turned into a big upset, but, I was very lucky to cross paths with some really great people who went out of their way to help me get going again. A big THANKS to Jerry and his guys at Richmond Trailer Sales, the fabricator for helping me on the weekend and the folks at Flying J for allowing me to fix my trailer in their lot. If you ever have a break down, it's good people like this you should hope to cross paths with. The Colony Park pulled the trailer so well with the 4300 pound cylindrical grinder on it, that I should have no problem trailering a 69 Cougar that weighs 3200. The CP is a bit more sensitive to tongue weight than my F-150 would have been. So, positioning the load on the trailer to get the correct tongue weight is a bit more critical. Now, back to working on the house. Glad that you made it home safe. You might want to consider a weight distribution hitch. It's all in good fun and adventure.